J and I just purchased a used trombone. In the very early stages of our relationship we discovered all sorts of odd things we had in common, one of which is that we both played the trombone as teenagers. Anyway, we’ve been talking about learning to play again, and we finally found a used instrument in good condition. 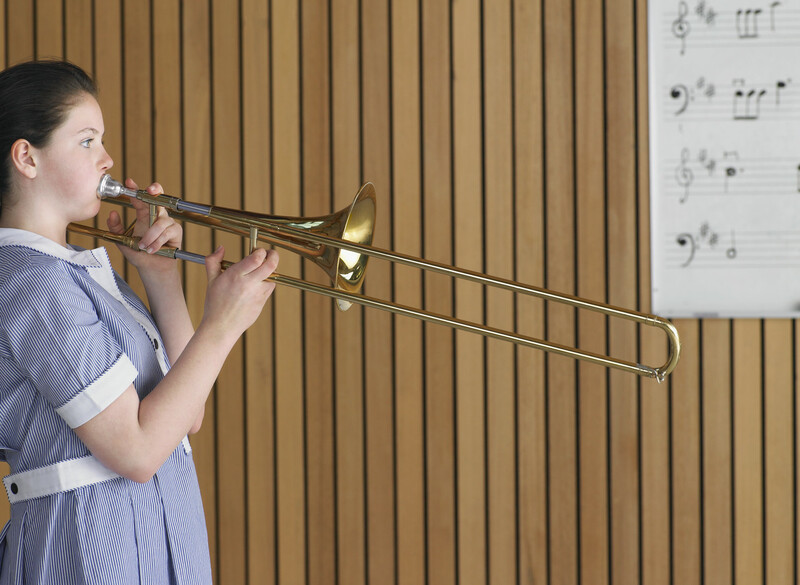 The main difference between a trombone and other brass instruments is that you make the notes by moving a slide up and down, rather hitting a key. It makes it a lot more difficult to hit just the right note. It’s also what makes the trombone so much fun to play, because you can slide easily from note to note, up and down and back again. The reason I’m telling you all this is that today I’ve been thinking a lot about the whole coming-to-terms process. I’ve been thinking about it in terms of school grades, with the freshman class having just made the decision to live childfree or to stop fertility treatments, and having no idea how to start getting used to the idea. They eventually graduate to acceptance and begin to find a way to get happy, and ultimately go on to live a full and happy life without children. But it’s really not that simple. You never really do hit all the notes precisely and in order. It’s much more like playing a trombone, where you slide from one state to the next and sometimes back again. One day, you’re content and determined to make the most of your situation, then something happens to trigger all those old emotions and you find yourself sliding back down. Then you get to talk someone who understands you and you feel like you can really figure this out…until your friend announces a pregnancy and back down you go again. So, I’m wondering, where are you on the sliding scale of coming-to-terms? Where are you right now and have you been better or been worse? Do you feel that, even though you have setbacks, you’re slowly moving towards a place of peace, or can you see no way to ever come-to-terms with your lot in life? Or have you already been up and down the scale and have finally found a place of contentment? I’d like to know.